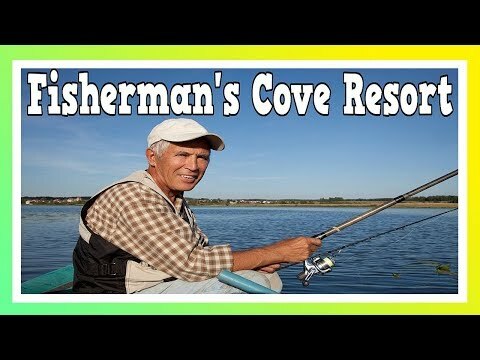 Fisherman’s Cove Resort is a secluded and well maintained RV resort located on Terra Ceia Bay in Palmetto, FL. The resort has a full amenity package including a large clubhouse with full kitchen, great room, fitness room and game room, large pool and spa, tiki hut, tennis courts, bathhouse, laundry facilities and of course beautiful views of Terra Ceia Bay. In addition, there is a fishing pier and boat ramp for those that love to fish or just enjoy boating on the Gulf of Mexico. Fishermans Cove Resort is also conveniently and centrally located to many wonderful attractions including world class beaches, golf courses, restaurants, shopping, and museums. Downtown St. Petersburg, St. Petersburg Beach, Anna Maria Island and Sarasota/Bradenton are all located approximately 20-25 minutes from the resort. Our managers, Mike and Brenda Carson, have been managing the resort for over 5 years and have done a wonderful job keeping the resort clean and well maintained and making guest stays enjoyable with plenty of social activities for the residents and guests. Please feel free to call them with any questions you may have about the resort or to make a reservation. See our blog for the resident newsletter and upcoming events. We offer full hookups, free WI-FI and we have sites that can accommodate large RVs. In addition to RV sites, the resort also has 2 bedroom/2 bath villas and 1 bedroom/1 bath apartments for 6 month or longer rentals. We also offer RV and boat storage. Call now for availability and rental rates. Located in charming Palmetto between St. Petersburg and Bradenton Beach, Terra Ceia is just 12 miles from the beautiful Gulf Coast beaches and 5 miles from the Sunshine Skyway Fishing Piers. Enjoy our spectacular clubhouse, heated swimming pool, professional shuffleboard courts, horseshoe pits, exciting on-site activities, clubs and more!